Twelve days into 2014 and I love it so far. Outbursts of stressful moments aside, this year is looking to be quite promising in all aspects. 2013 may not have ended well for me, but I aim to be proactive in making this year a happy one. With that said, I am starting a series on the blog called How to Be Happy in 2014. TIP # 1: Have at least one (1) thing to be excited about every month. Download the hi-res blank version HERE. The thing about "surviving" each year and making it better is that you actually have more control over this than you think. Sure, life throws you things that catches you off-guard, but it's not like you can't decide on what you want to happen, too, right? When thinking of how to be happy this year, the ball is actually in your hands. 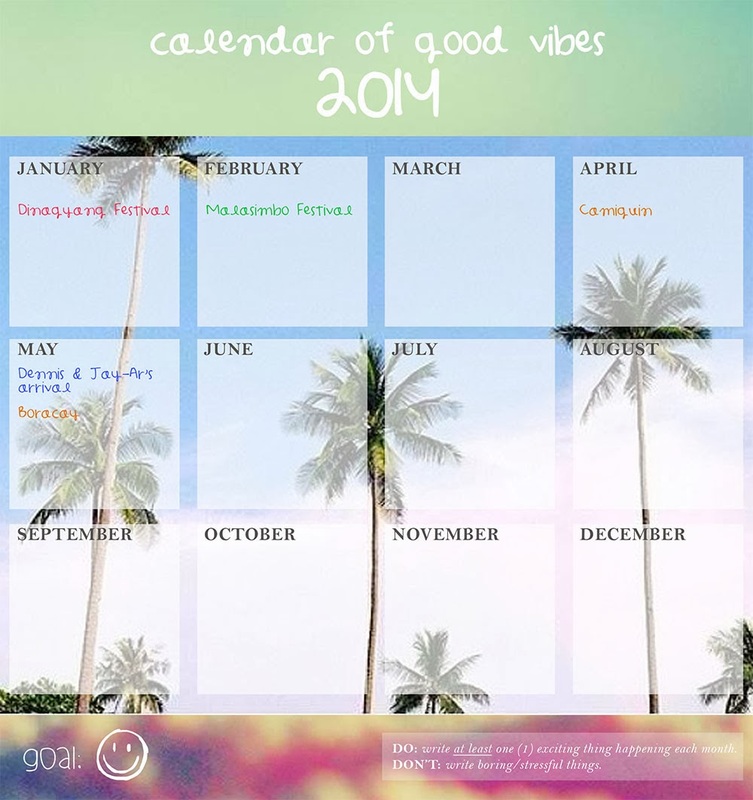 I have created the Calendar of Good Vibes 2014 to remind me of all the good things that are about to come. It helps to list down or make a special mark on your calendar for the things you're excited about so that you can immediately see it. It's an instant picker-upper! You can create your own or download mine here (blank version). This series is going to be for YOU and me. 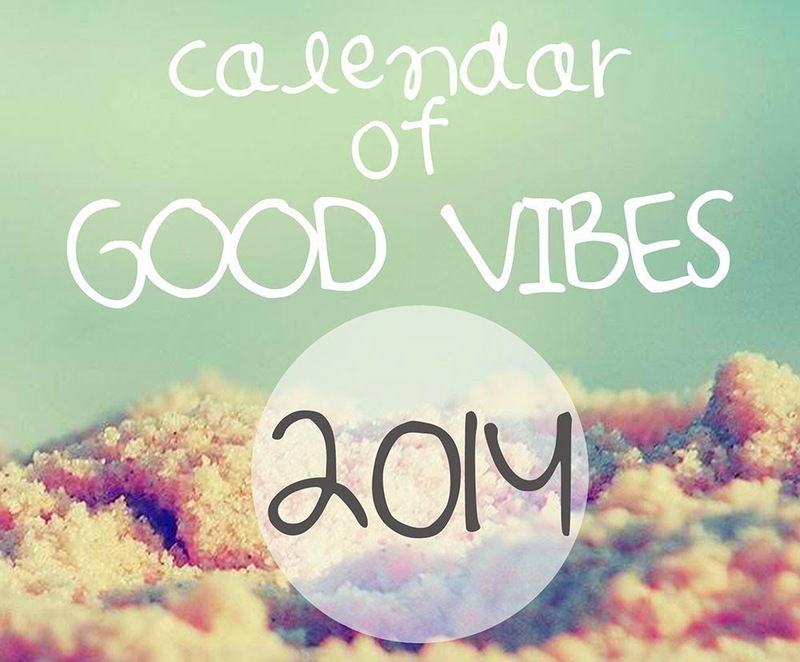 Let's aim to fill up 2014 with a lot of good moments, yes? This is adorable! And I always need some good vibes!